Identification: No tails. Upperside drab dark gray. 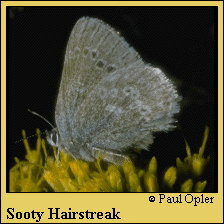 Underside gray to grayish brown; forewing with a line of white-bordered dark spots which may be lacking. Life History: Males patrol and occasionally perch to seek receptive females. 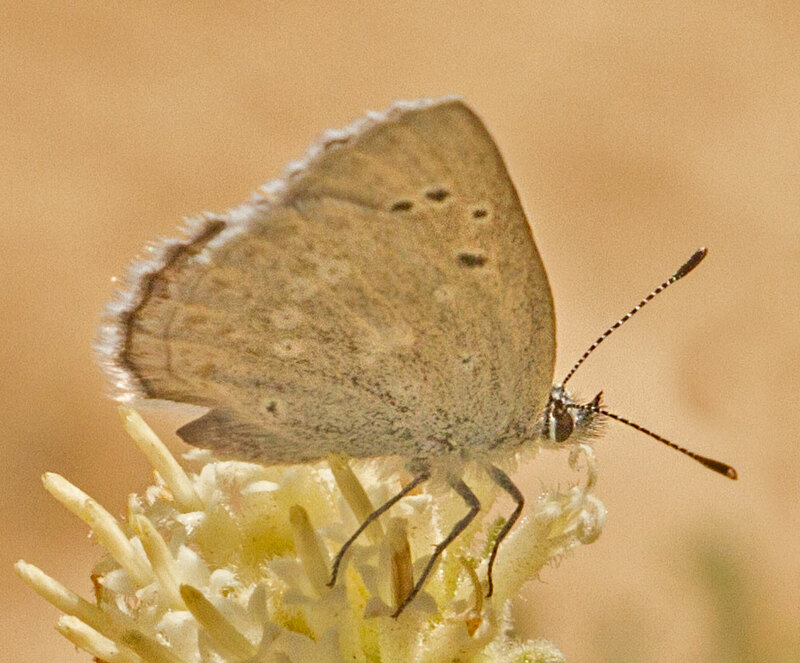 Females lay eggs singly on host plant or at its base in litter. Caterpillar Hosts: Various lupines (Lupinus species) in the pea family (Fabaceae). Habitat: Sagebrush hills, meadows, fields, road edges. Range: Local within its range. British Columbia south to central California, east to Wyoming and northern Colorado. NCGR: G4 - Apparently secure globally, though it might be quite rare in parts of its range, especially at the periphery.